One of the most memorable quilting memories I have is the day I met Faith Ringgold, master narrative quilt artist. She was the keynote speaker at the 2005 Fall Conference of the Nebraska Art Teachers Association in Omaha, Nebraska at the beautiful Joslyn Art Museum. She signed books for many of those attending. One of her most famous books is "Tar Beach". I hope you have had the opportunity to read it. I remember that she changed her flight home to a later time because so many wanted her to sign their books and one thing she liked to do was to sign books. My friend and fellow art teacher, Donna Arnett, took this photo and shared it with me. I have treasured it and the experience ever since. 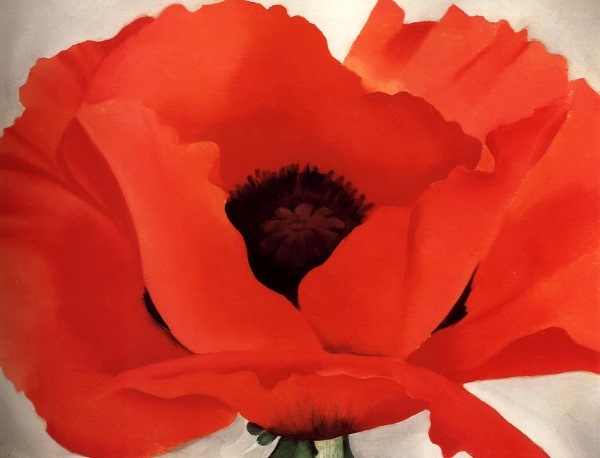 I love the floral paintings by Georgia O'Keeffe. 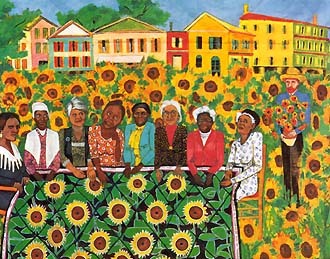 Faith Ringgold created a quilting piece that included van Gogh at Arles, France. 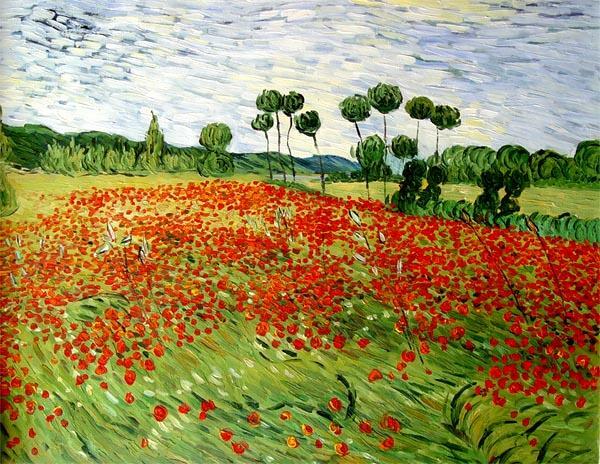 Vincent van Gogh, as well as Claude Monet painted poppies as they appear in the fields and on the hillsides in France. 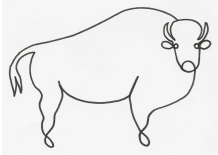 I created my one-line signature after viewing Pablo Picasso's one-liners - created by making one line for the entire sketch.